FaceIdent is general and flexible automatic face recognition software, designed to identify and compare faces automatically, without human assistance. FaceIdent has been developed for anyone interested in integrating automatic face recognition technology into computer system. FaceIdent is an innovative recognition and identification technology for every project where accuracy, speed and automation are essential objectives. 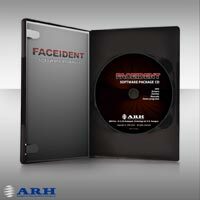 A checkpoint equipped with FaceIdent can enhance customer care services at banks, casinos, hotels or rental services. It can serve as a security tool in military, police or immigration office institutes and aid security personnel's work at airports, train stations or any crowded public institute etc. The core of FaceIdent is an image processing software module, which is based on a neural network technology. This core, the recognition engine, interprets the content of raw visual data i.e. extracts the important information of the input image (it can be either a standard video signal or a pre-saved image file). The software module detects the main characteristic points of the face, extracts from these information a flexible map and creates a computer code for potential database comparison. FaceIdent is a core technology rather than a complete application, it was specially designed and developed to be easily integrated into complex ITS applications. FaceIdent is suitable for meeting special customer requirements and gives everybody the opportunity to design and develop a custom-tailored application. The system can be used on any existing PC system running under Windows XP/2003 or Linux.